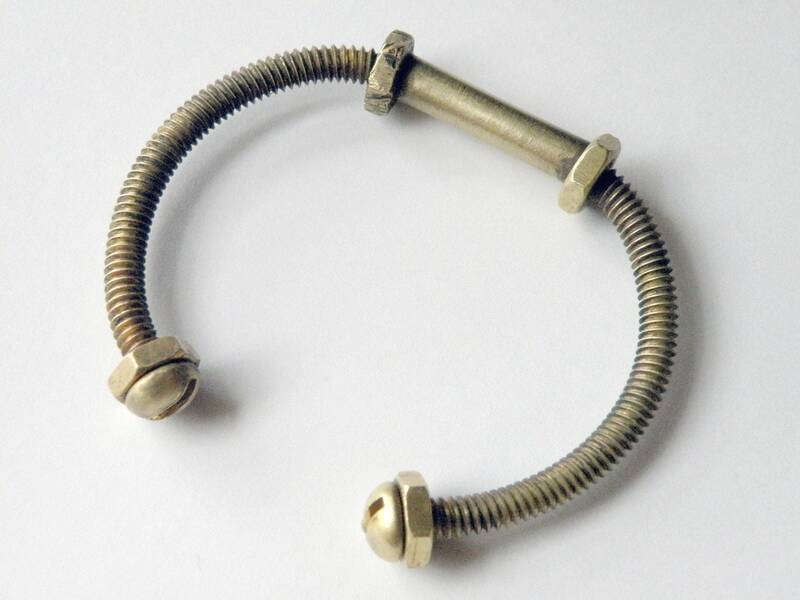 I use brass nuts and bolts with a beautiful golden hue, and carefully cut, form and solder to create this one of a kind bracelet. Please specify your wrist measurement. 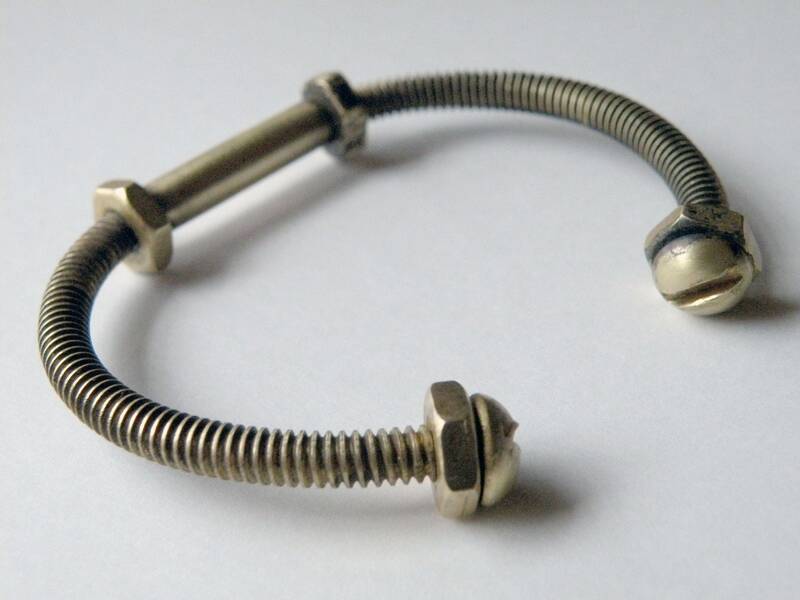 Since these are custom made, I can make this to any specific wrist measurement. 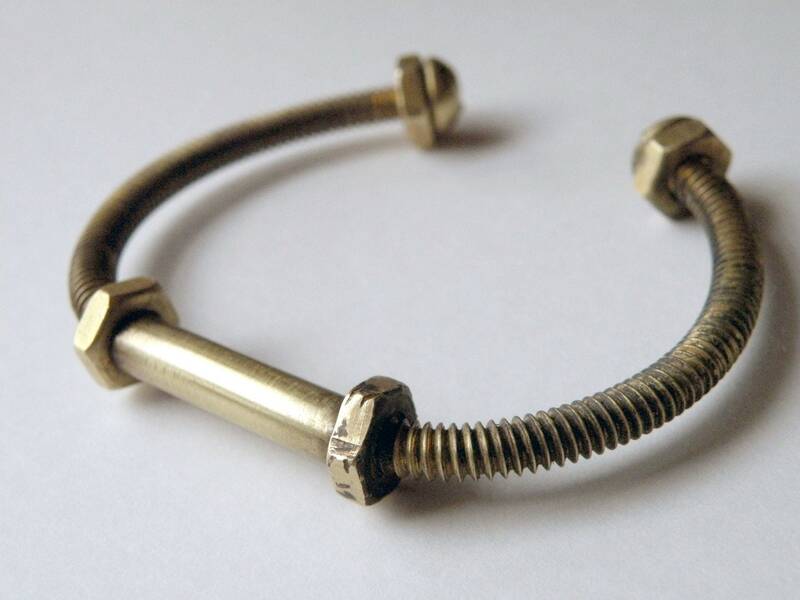 The bracelet will have a slight flex, which should allow you to fine tune the size.